The George W. Rogers & Co. ShotTower claims the distinction of being Dubuque's most recognizable and enduring landmark. And while it only operated intermittently from 1856 to 1862, the Shot Tower continues to serve as a reminder of America's vibrant entrepreneurial spirit of the mid-1800s. To preserve this local legacy and position it in the larger narrative of our nation's past, students from Central Alternative High School in Dubuque invested a year of research in 2005-6 to tell the story. 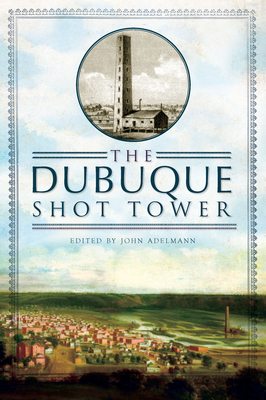 Their findings, combined with essays contributed by community experts, have been edited by John Adelmann into a first-of-its-kind book that presents a fascinating saga of the Shot Tower that has become greater than the sum of its myths and legends.